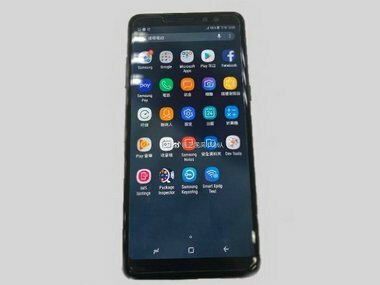 The first of the two images give us a clear look at the top of the Galaxy A8 Plus which shows the use of Samsung's Infinity display panel on the smartphone. 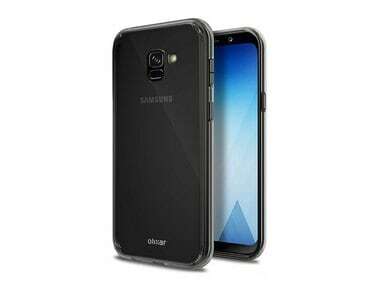 The renders show that the Galaxy A5 is expected to come with Samsung's trademark Infinity display along with 18:9 aspect ratio. The Samsung Galaxy A5 falls in the budget flagship segment and comes with a nice assortment of features that help it stand apart. After using the 2017 Samsung Galaxy A5 and A7 for a short while, it seems that Samsung does have a few tricks up its sleeves that should help them stand out from the sea of budget and mid-range devices. The highlights of the 2017 Galaxy A series is the new design, the IP 68 dust and water resistance rating and the Always on Display feature. Samsung has decided to concentrate to the reputable Galaxy A series after the disastrous last year with the premium Samsung Galaxy Note series. The smartphone company is working on trying to rebuild trust after the forgettable Samsung Galaxy Note 7 fiasco earlier this year. During the Samsung Forum event in Kuala Lumpur, the company launched its Galaxy A5 (2016) priced at Rs 29,400 and the Galaxy A7 (2016) priced at Rs 33,400 in India. The devices will be available via Snapdeal starting February 15. Successors to the Samsung galaxy A3 and Galaxy A5 have surfaced online. The images leaked offer designs on the upcoming devices. Samsung has announced it's new Galaxy A5 and Galaxy A3, which are full metal unibody, extra-slim smartphones. The Galaxy A5 and A3 are Samsung’s slimmest smartphones to date.